In Japan, you don’t have to go far to find a potter. From Hokkaido to Okinawa, they are here, there and everywhere. Many live and work in beautiful places out in the country. Visiting their workshops can be both fun and fascinating. 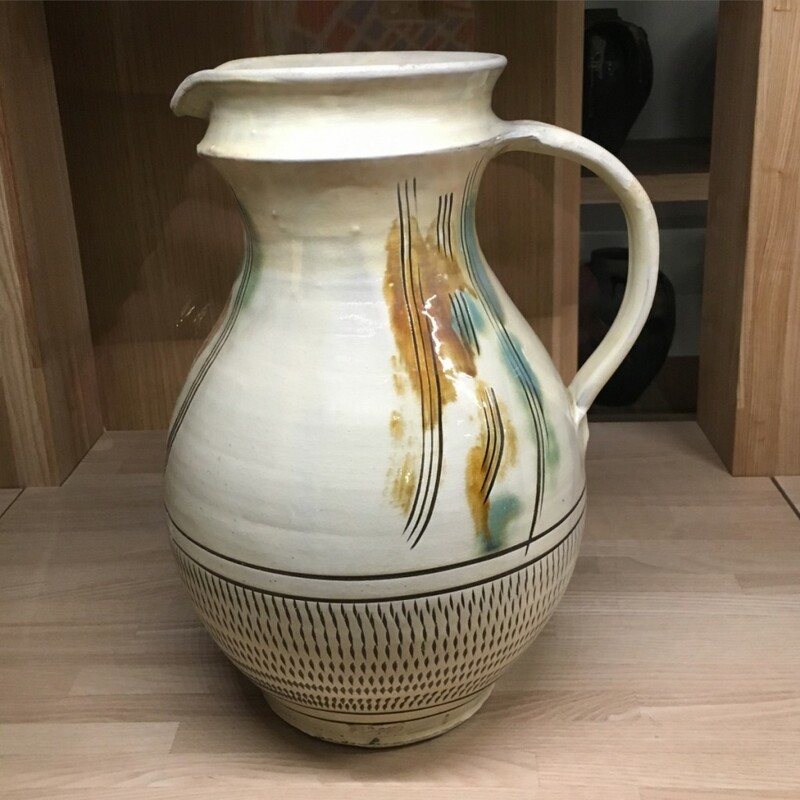 Plus buying pots directly from the artist not only makes a wonderful souvenir, it also supports a deeply rooted ceramics tradition. 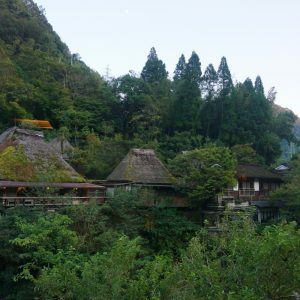 On a recent trip to Japan’s southern island of Kyushu, we had the pleasure of kiln-hopping by day and soaking in baths at onsen ryokan, or hot spring inns, by night. Could there possibly be a better combination? Getting our trip off to a good start, we began in Arita where porcelain wares have been in production for centuries. 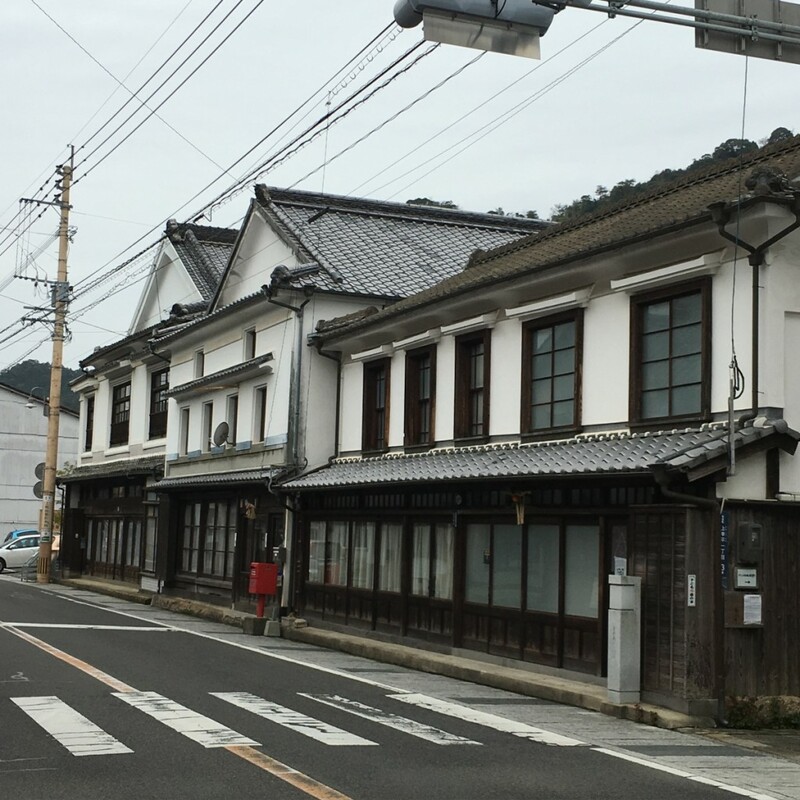 Though much of Arita’s goods are exported to other parts of Japan or beyond, the town’s streets are still lined with galleries and shops, many housed in historic wood or plaster buildings. Among the most famous is Fukagawa Seiji. The company’s highly decorative dishes might not be everyone’s cup of tea but their original art deco building completed in 1933 is itself a work of art. 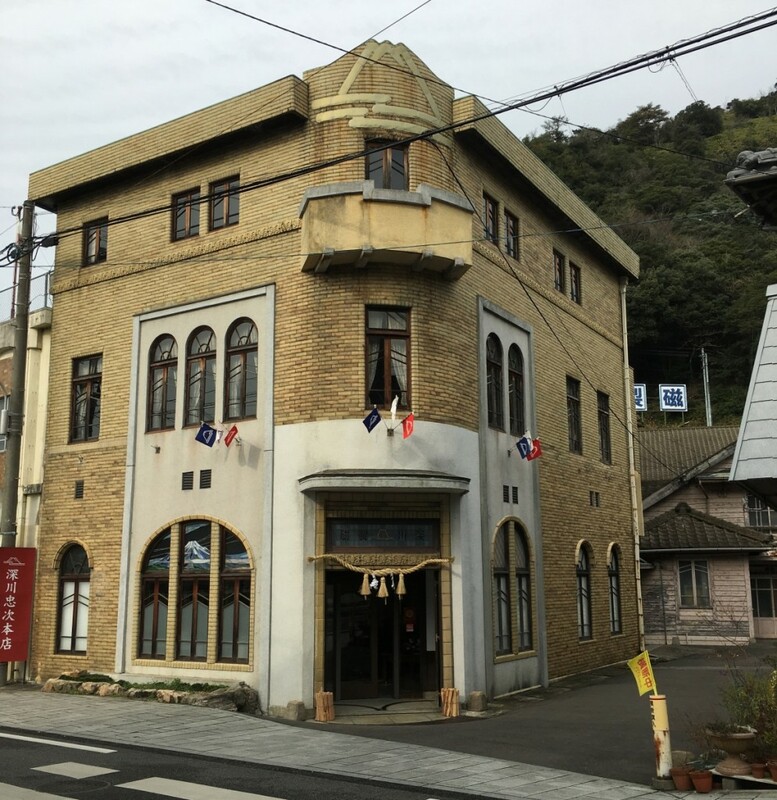 After a splendid evening at Chikurin-tei ryokan, — amazingly our room had its own outdoor bath — we set out for the Hakusan factory store in nearby Hasami. 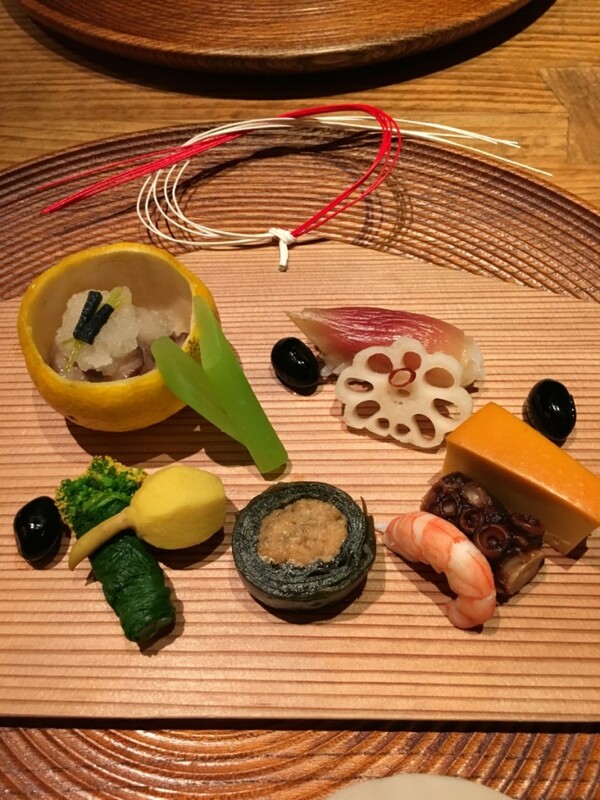 Though its offerings are mainly mass-produced, Hakusan creates some of the most elegant everyday dishes on the market. Influenced by Scandinavian design, their timeless shapes and colors are lovely to look at and easy to use. And the discounted prices made the reasonably priced dishware a downright bargain. For those who can’t make it to Kyushu, Hakusan’s Tokyo store is in Omotesando. Next we drove across northern Kyushu to the village of Onta where potters have been churning out earth-toned, everyday dishes for 300 years. 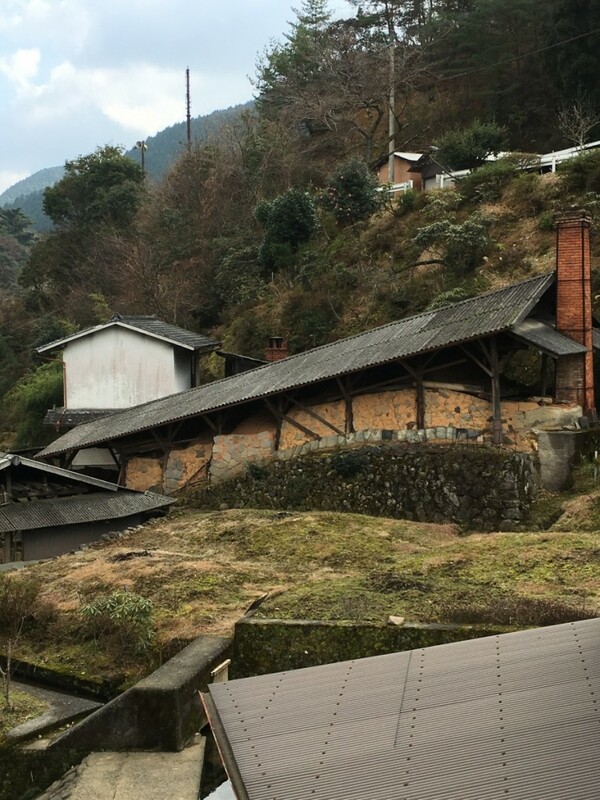 A picturesque enclave in a mountain valley, Onta consists of one winding road where 10 kilns quietly go about their business. 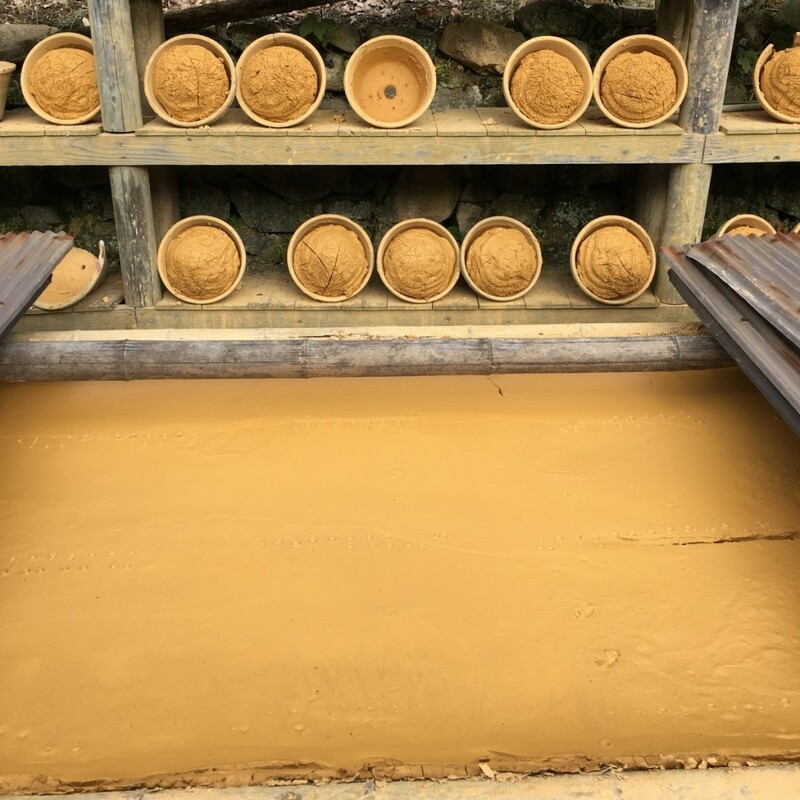 In front of the potters’ home workshops, vats of rich yellow clay soak up the sun. 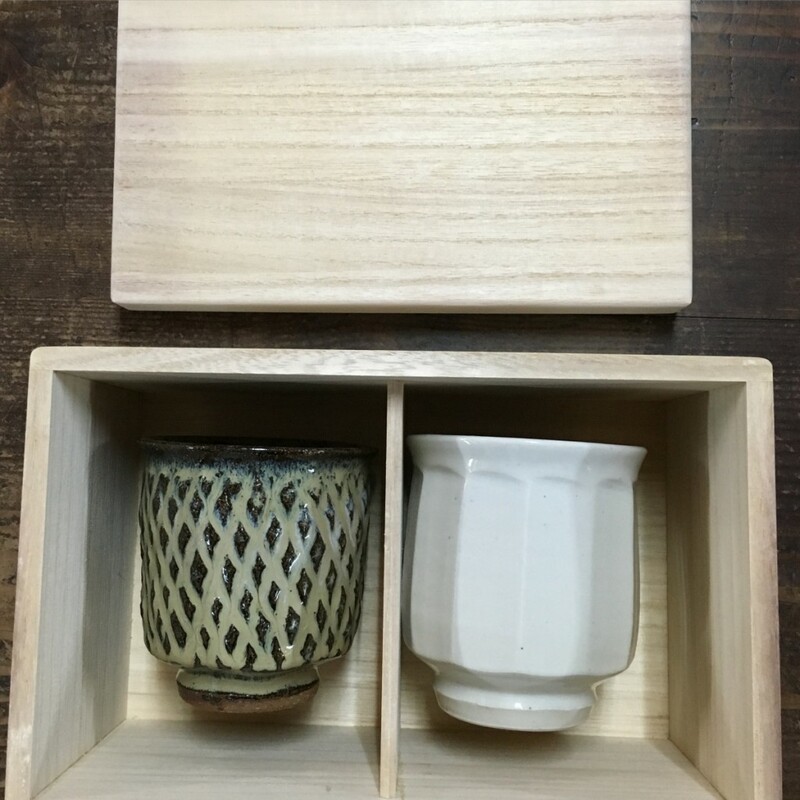 Eventually the clay will become cups, plates and other tableware, each piece decorated with Onta-yaki’s signature notched pattern. Aside from the occasional car, the only sounds are the water-driven mills whose rhythmic thumping can be heard village-wide. The scene looks and feels like it has not changed for centuries. And it probably hasn’t. 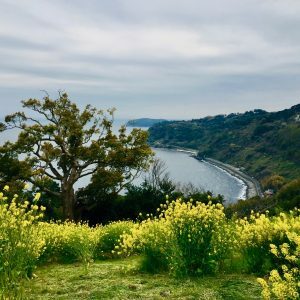 Our exploration done for the day, we headed to Yufuin, a lovely hot spring town outside Beppu on the eastern side of Kyushu, where the historic onsen inn, Kamenoi Bessou, awaited us. Housed inside a sequence of Japanese style buildings, the inn is well-appointed with a mixture of antiques and mid-century Danish modern furniture. 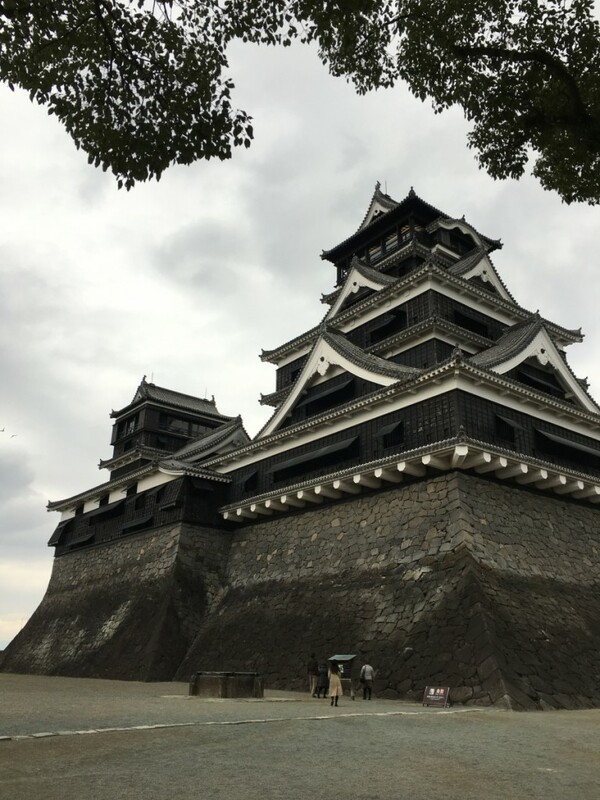 we drove back across Kyushu to Kumamoto, passing Mt. Aso, the largest active volcano in Japan, along the way. 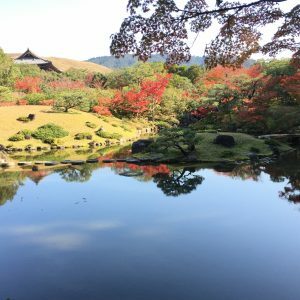 The Edo period center of the Kumamoto domain, the city has a beautifully maintained castle and grounds that draw tourists from near and far . 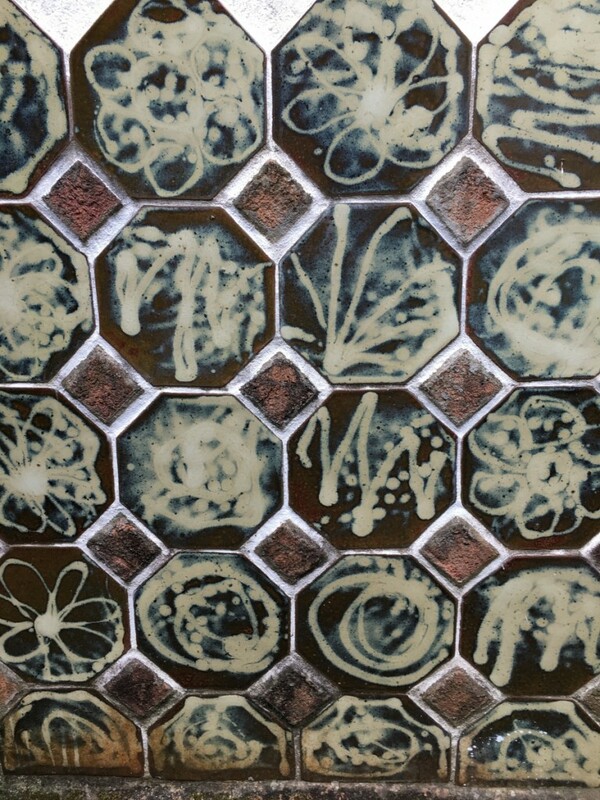 The surrounding area also has a long history as a center for the making of ceramics. 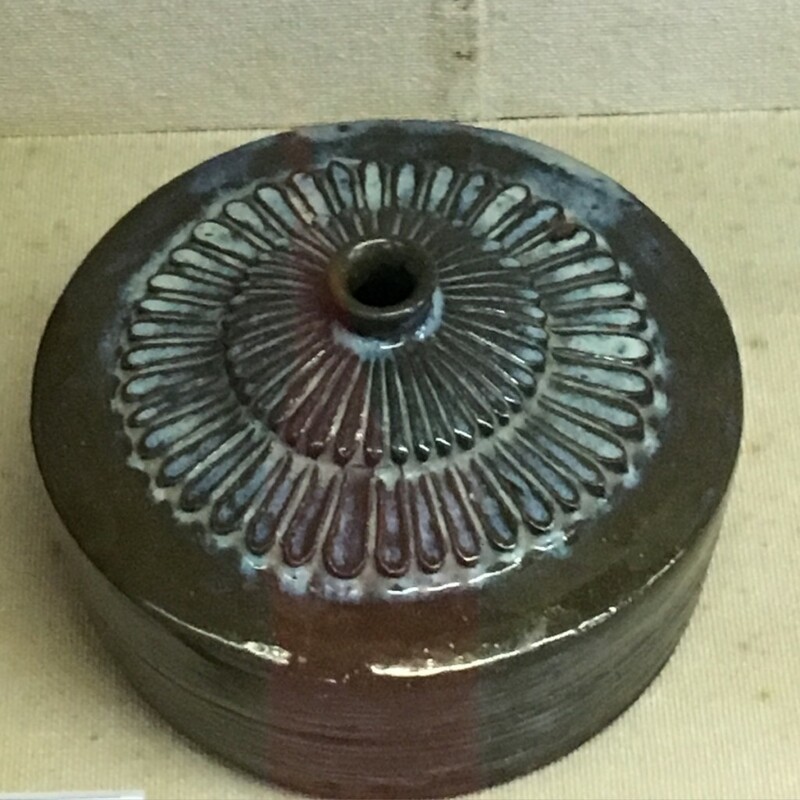 In the late 16th century, Japan invaded Korea, an event known as the “Pottery Wars.” Afterwards a number of Korean ceramists and their advanced techniques were brought to Japan. This led to the establishment of several important Kyushu kilns, including Shodai-yaki which is named after nearby Mt. Shodai. 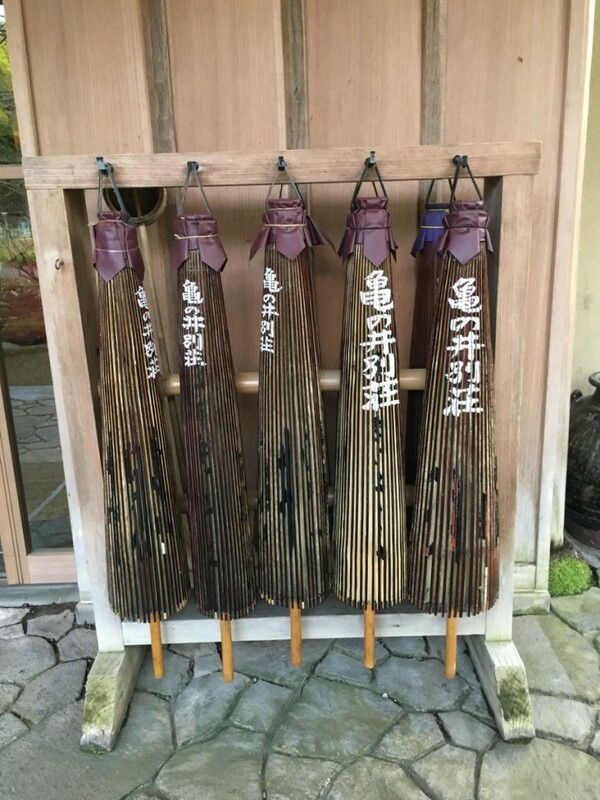 Distinguished by its iron-rich clay and layered glazes — a tan, brown or dark blue undercoat topped with drips of a contrasting color — Shodai-yaki is still produced by a number of artists near Kumamoto. We had to at least take a look. Our first stop was Shodai-yaki’s most prominent kiln, which is headed up today by the potter Inoue Taishu. We had the good fortune to visit with his son, Inoue Naoyuki, who took time out to chat with us. On that day he was busy glazing a tray of shallow bowls being readied for the noborigama, or climbing kiln, adjacent to the workshop. In the showroom next door, fine examples of the squat vases and hefty pitchers thrown by father and son caught our eye. Fortunately, many of the pieces were for sale so we did not leave empty-handed. Exhilarated by this encounter, we proceeded on to the nearby workshop of Fukuda Rui who inherited her father’s kiln following her apprenticeship in Mashiko, another important pottery town in Tochigi Prefecture, with Shimaoka Tatsuzo, who was honored with the designation of Living National Treasure. She greeted us cheerfully in her ramshackle showroom and shared stories about her kiln and training as we sipped tea from her homemade cups. 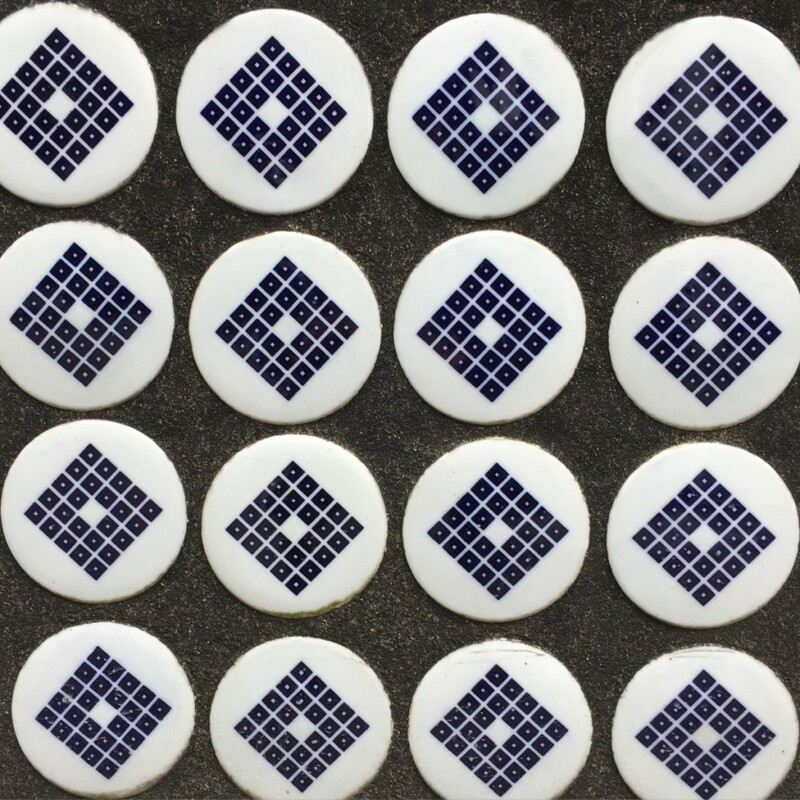 In addition to tableware, Fukuda makes an assortment of other goods including tiles. 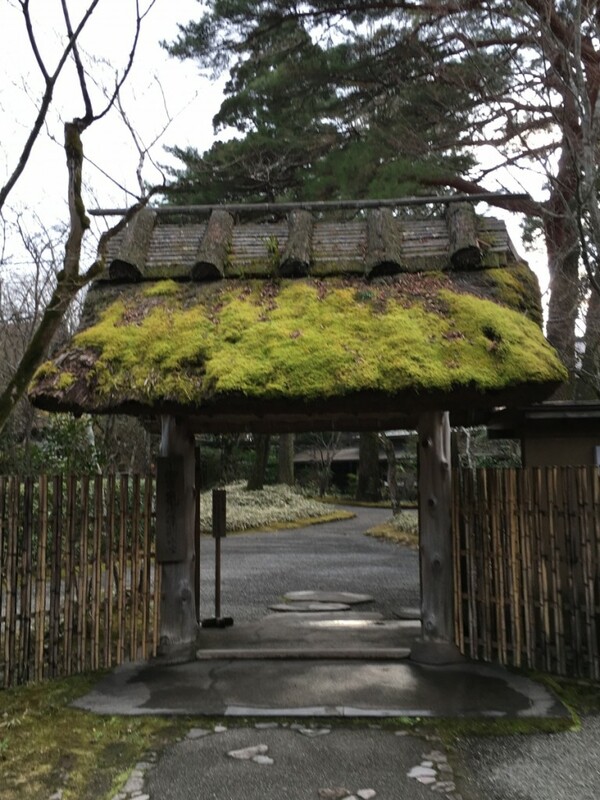 The hot beverage was welcome but, chilled by Kyushu’s damp, winter cold, we didn’t truly thaw out until we entered the glorious outdoor baths at Ishiharaso, an onsen inn near Kirishima. Occupying a repurposed stone storehouse built in 1911, the inn’s elegantly appointed rooms and exquisitely presented food were a luxurious coda to our trip. Laden with our newly found ceramic treasures, we headed back to Tokyo the next day. Note : To make it easier to find the potters, names have been kept in the order they appear in Japanese, that is, surname followed by given name.